Barbara Nwaba ‘07: American Pentathlon Champion! 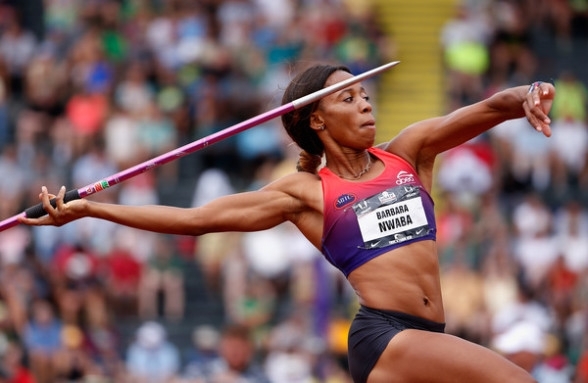 [Posted March 28, 2016] Congratulations to a former Uni star athlete who won another U.S. national championship in track & field: Barbara Nwaba ‘07. 2:15.85 in the 800 m.
2:10.07 in the 800 m.
Her score makes her the sixth-best American ever in the indoor pentathlon, and she finished just 109 points short of the bronze medal. A great performance which portends well for her chances to make the U.S. Olympic Team this summer and participate in the 2016 Olympic Games in Rio de Janeiro, Brazil!